Extensive rain falling on frozen ground yesterday led to widespread flooding in Dallas County, resulting in several roadways being partially or completely covered in water. 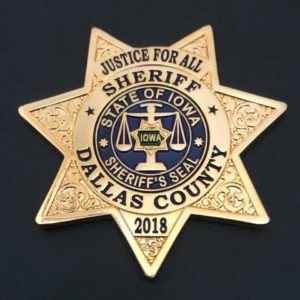 The Dallas County Sheriff’s Office reports that numerous roads are currently closed and should be avoided until further notice, including: the 20000 block of Panther Creek Road; the Raccoon River Bridge on County Road F-90; 62000 Utica Trail; 250th Street east of Alice’s Road; H Avenue in both directions south of the bridge near Old Highway 6; Midland Trail north of Highway 44 to 230th Street; U Avenue north of CR F-31 from 180th to 141st Street; Old Highway 6 and Delta Court for around one mile; and 328th Place and Dexfield Road. Additionally, the Perry Public Works Department reports that Park Street over Frog Creek has water over the road, but the levels continue to drop. Also, Harold Bailey Way at West 5th Street is closed due to a frozen storm intake, but crews are working to clear the blockage. There are no reported closures in Adel, and Highway 169 north of the City is still open. Keep listening to Raccoon Valley Radio for the latest on flooding conditions and road closures. As a reminder, never attempt to drive through a flooded roadway, but the Sheriff’s Office encourages you to report it to dispatch. To see more road conditions in Dallas County, click the link below to visit the Sheriff’s Facebook page.